Party and event Magic ‘selfie’ Mirror Photo Booth hire Nottingham, Derby, Leicester, and East Midlands. 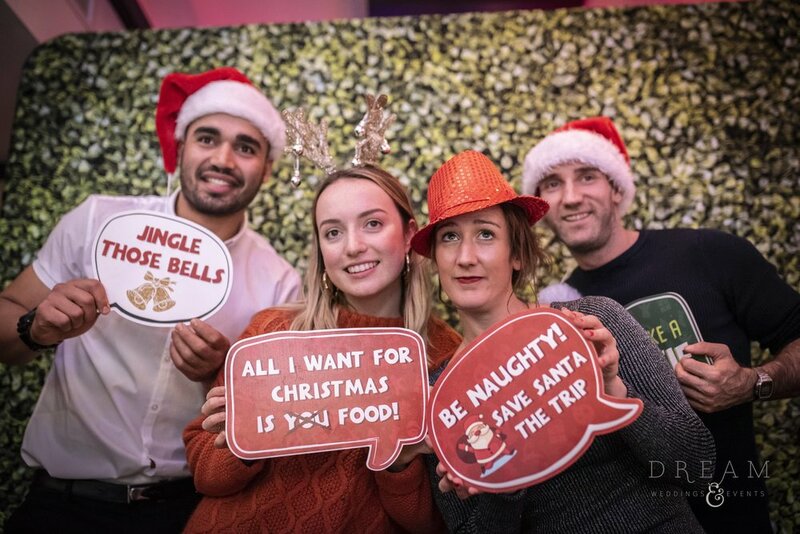 Hire magic mirror photo booth for your birthday party, Christmas party, baby shower, event or party in Nottingham, Derby, Leicester, and East Midlands. 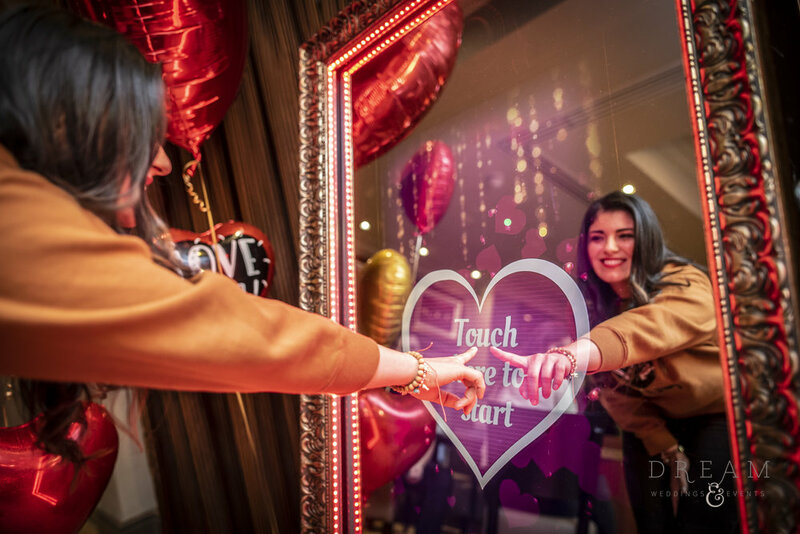 Our Magic Mirror Photo Booth is a unique, interactive, and captivating photo experience, perfect for parties and special events across Nottingham and the East Midlands. 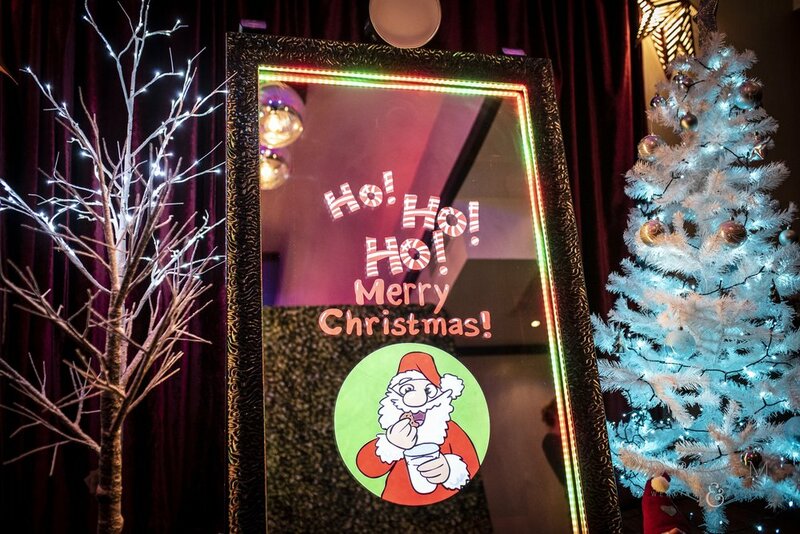 Our Magic Mirror is the most advanced photo booth on the market and the perfect addition to any party or special event. Whilst giving you compliments, colourful animations, and voice guidance lead you through the fun before giving you the option to sign your photo in this magical selfie experience. It is sure to make your party unforgettable! The mirror can be adapted to suit your needs with custom animations, templates, and props, and is sure to impress your guests. A top of the range cannon DSLR camera, flash, and dye-sub printer ensure that high quality images are produced every time! Guests can walk away with their photo in under ten seconds, meaning no hanging around and allowing maximum usage of the mirror. 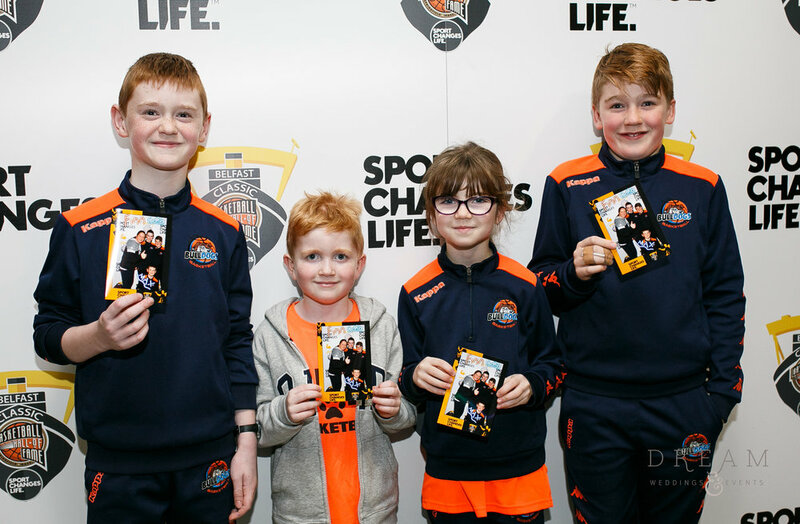 All of our packages include a USB stick with every photo from the event for you to keep. Our Magic Mirror is packed full of excellent features including touch screen photo signing, emojis, virtual props, filters, a large variety of animations, voice guidance, social media and email sharing, GIFs, games, children’s mode and much more! For each party the mirror comes complete with a choice of frame, backdrop, templates to match your theme, and custom props to suit each type of party or event, giving an extra personal touch.